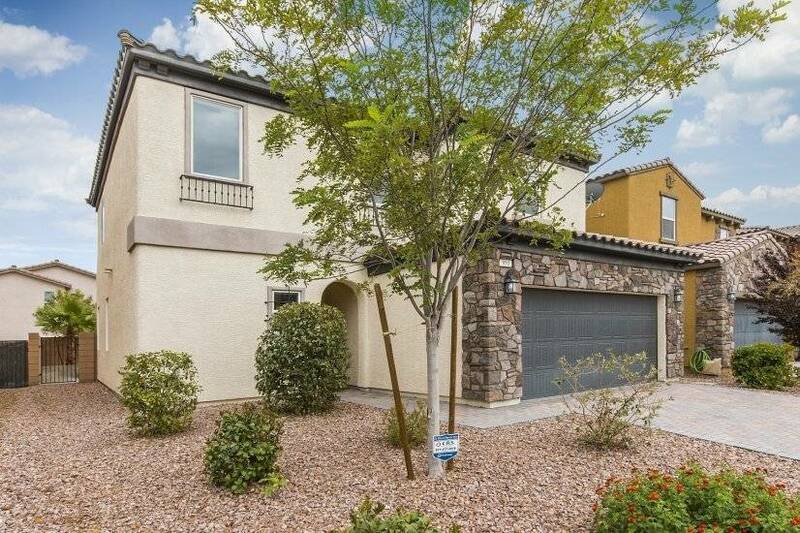 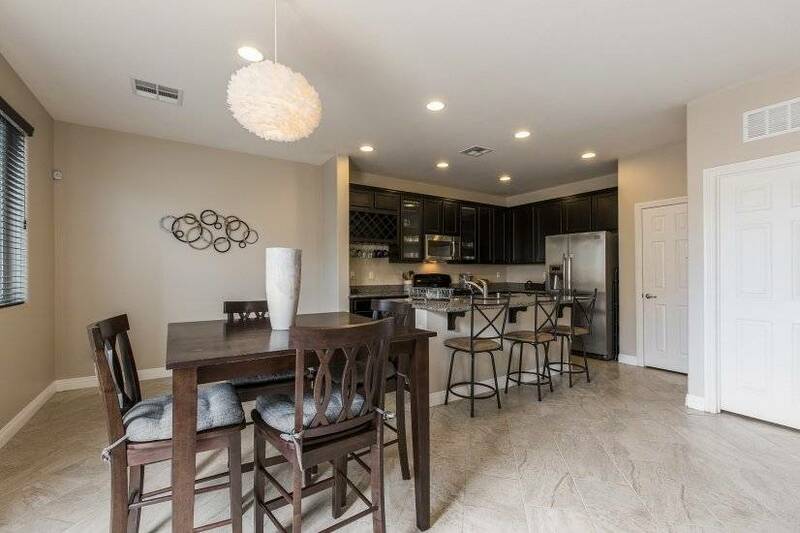 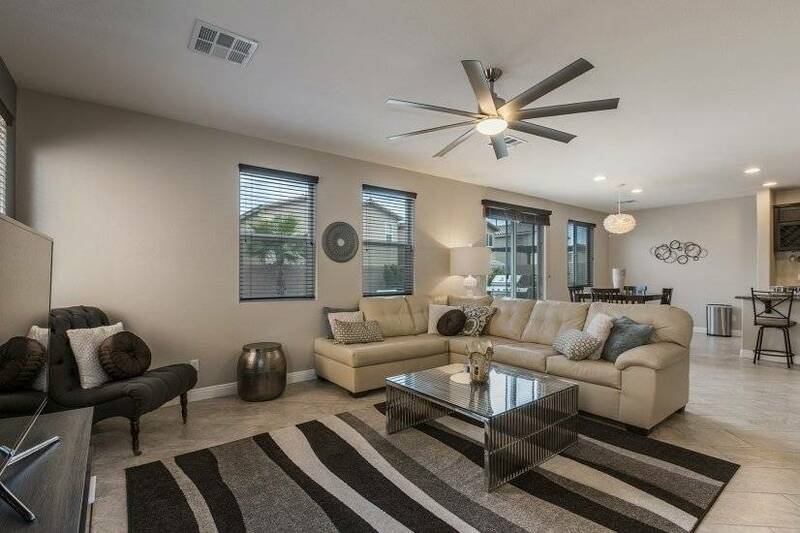 This immaculate, comfortable and chic 3 bedroom, 2 1/2 bath home in Southwest Las Vegas is perfect for corporate rentals, extended stays in Las Vegas, or an ideal place to call home while youre looking for a permanent new home! 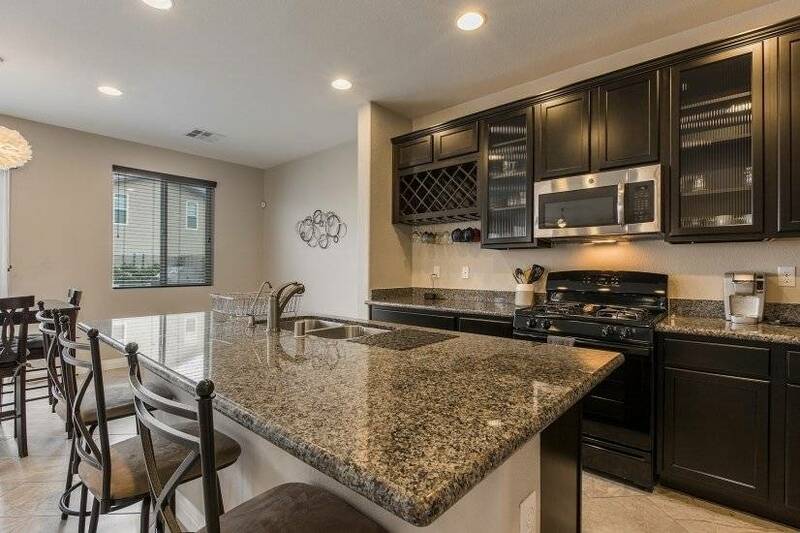 Situated on a quiet street in a new housing development, it is the ideal place to call home during your stay. 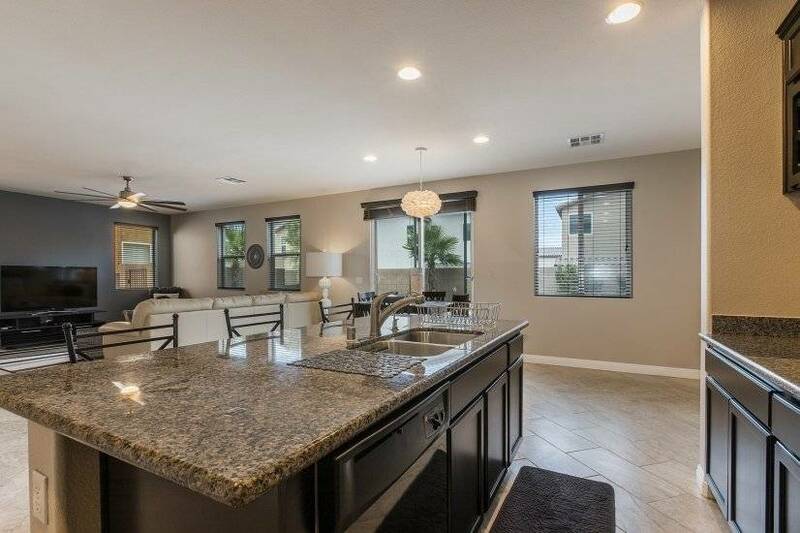 The spacious 2,000 square foot open floor plan includes a loft and office space as well as a beautifully landscaped backyard retreat, which includes a table with seating for six, two chaise lounges a hammock and gas BBQ for those who enjoy grilling. 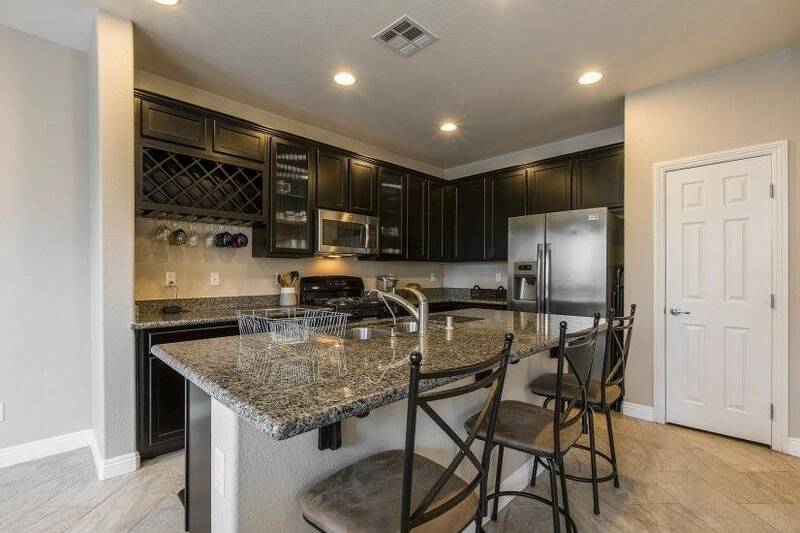 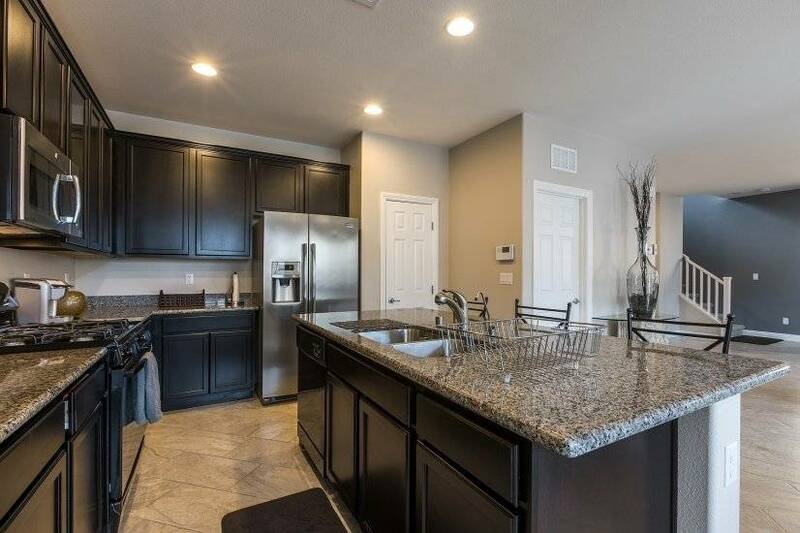 You will find many upgrades including granite counter tops, custom paint, tile floors throughout the entire downstairs space, stainless steel appliances, custom blinds and ceiling fans in all rooms. 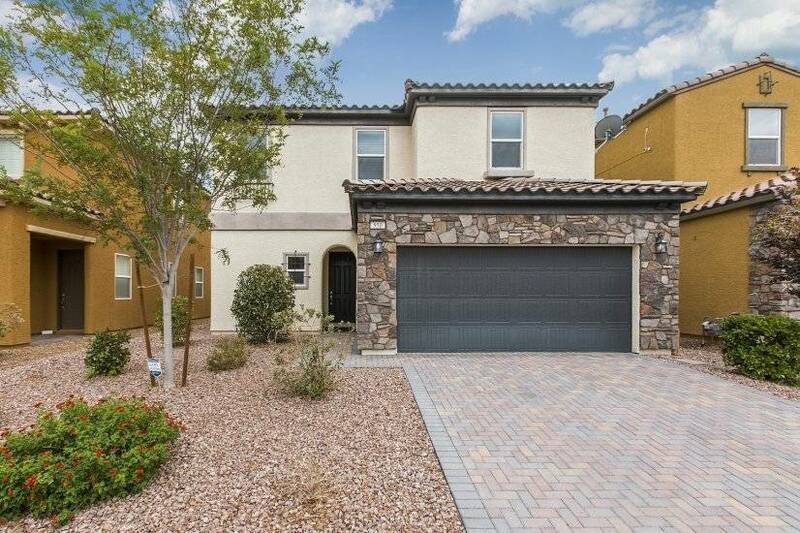 A security system offers peace of mind and the remote controlled, attached 2-car garage will keep your car cool and out of the Vegas heat. 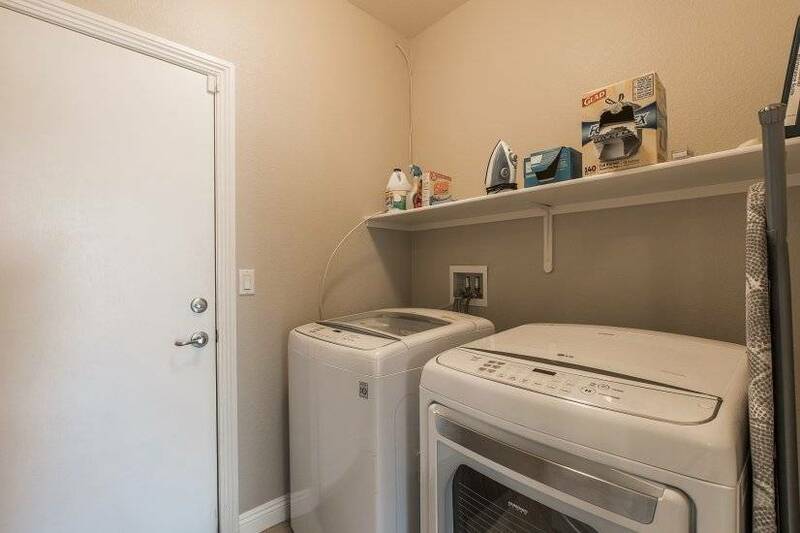 Other amenities include a large 60" HD Smart TV in the living room, Smart TVs in the master bedroom and loft (all Smart TVs have access to Hulu and Netflix), Westin Heavenly mattress pads in both the master and guest bedrooms, a queen size blowup mattress to accommodate extra guests if needed, a large soaking tub in the master bath and a spacious walk-in closet with shelving. 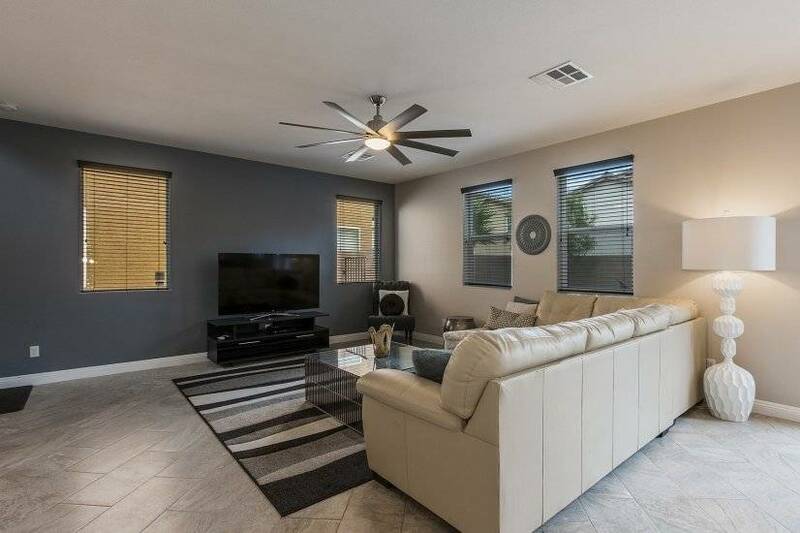 The house is CHBO complete, meaning that it has all the comforts of home and everything included for an enjoyable stay.